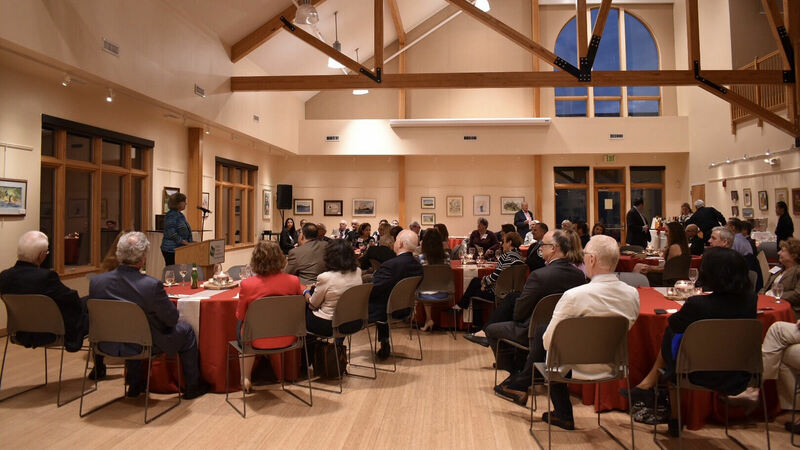 The MSBA Criminal Law & Practice Section presented its 2018 Robert C. Heeney Memorial Award to retired Maryland Court of Appeals Judge Lynne A. Battaglia at a special reception held on May 31 at the Howard County Conservancy in Woodstock, Maryland. Approximately 75 people attended the event. Since its inception in 1982, the annual award recognizes a member of the bar whose career reflects outstanding service in the practice of criminal law. From left: Chief Judge Mary Ellen Barbera, Court of Appeals of Maryland, retired Maryland Court of Appeals Judge and 2018 Heeney Award recipient Lynne A. Battaglia, and Howard County Circuit Court Administrative Judge Lenore Gelfman.